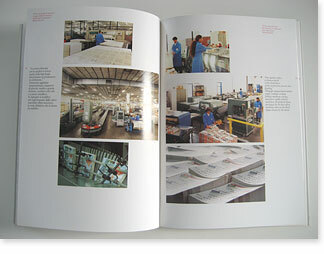 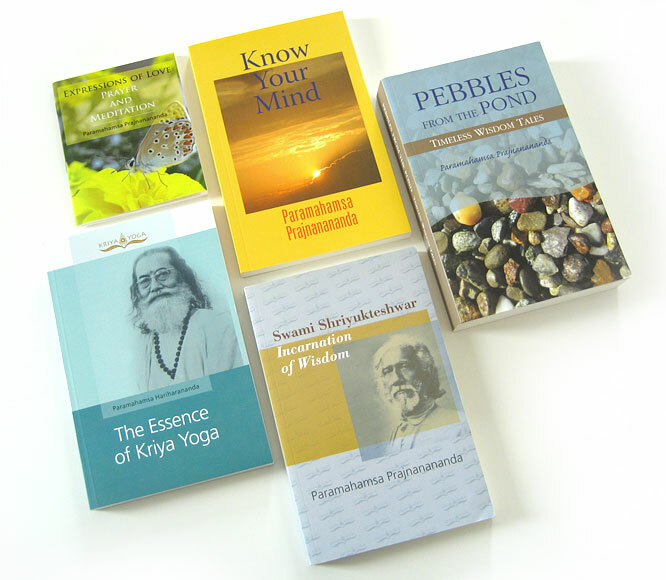 portfolio : Publication design - books, catalogs, annual reports, etc. 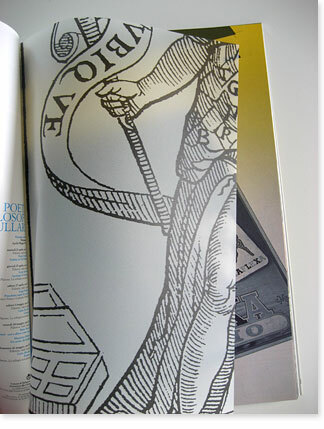 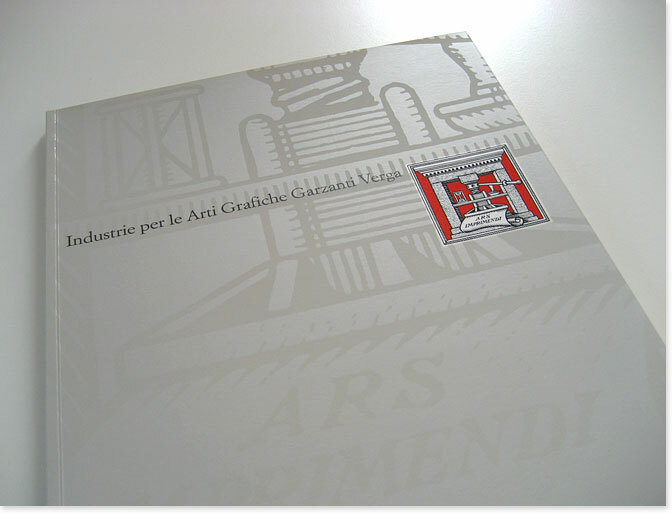 Concept, art direction and graphic design for a historical brochure for a publishing house founded by Giovanni Verga. 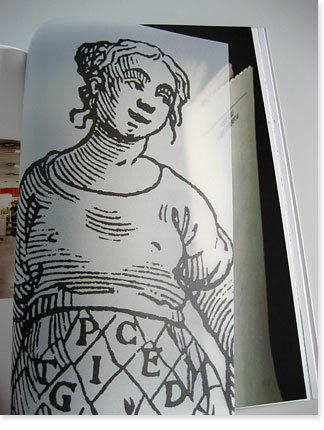 A transparent page with details of the printer's allegory (Cesare Ripa, Icolonolgia, 1593) opens each section of the brochure. 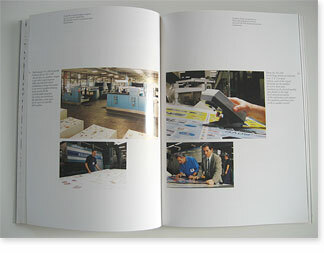 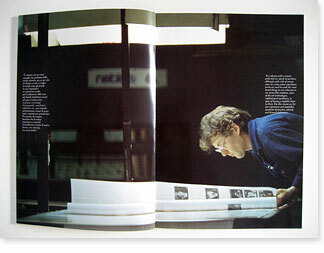 Art direction and production for the book. 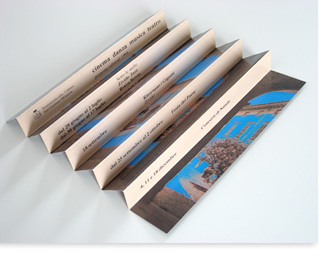 Concept, art direction and production for a folded flyer. 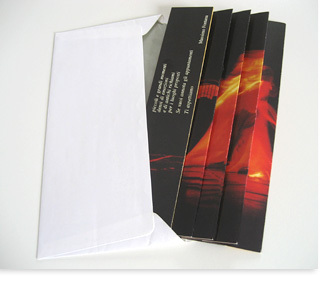 The flyer could be mailed in a standard envelope and stand as a display. 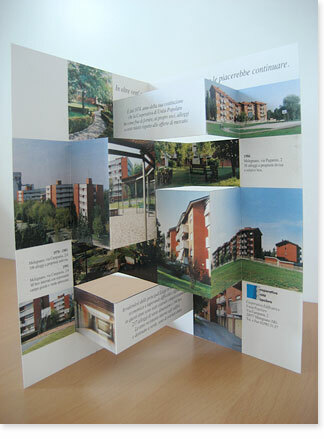 The flyer folded in a standard envelope. 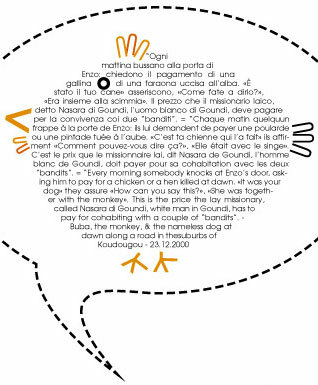 The flyer was two sided. 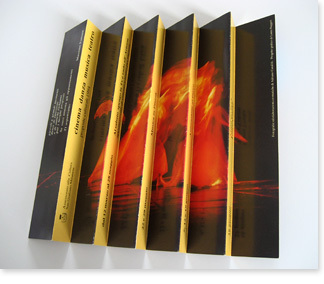 One side for the theatrical program, the other for the concert season. 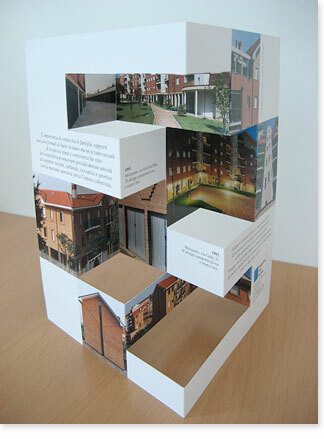 Concept, art direction and production for a three-dimensional brochure that echoes the architecture itself. 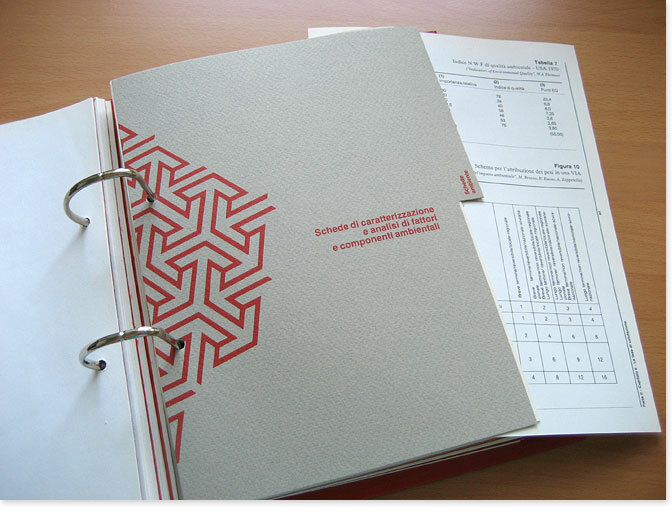 Was specially created to stand on the tables of banks that made construction loans. 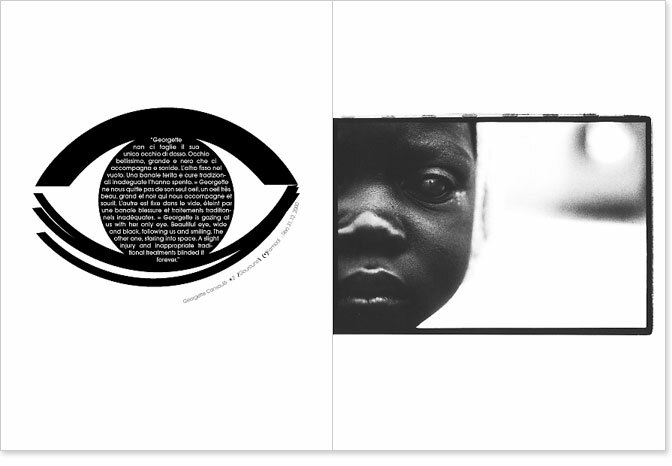 Cover and inside pages featuring photography and essays written by the children. 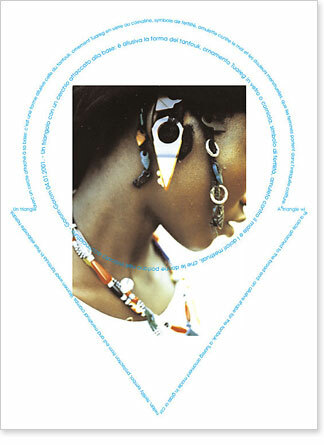 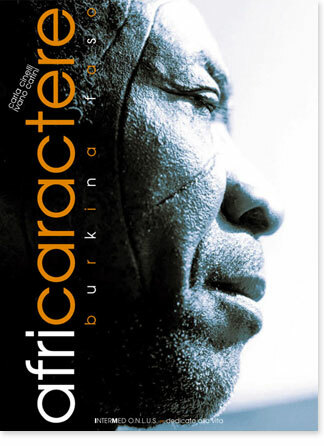 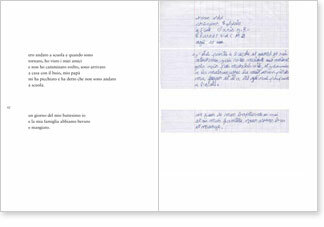 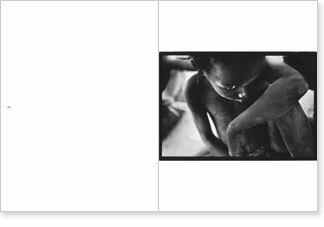 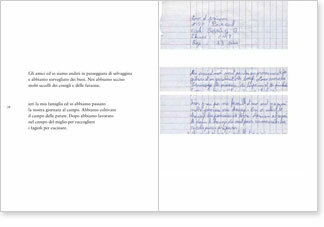 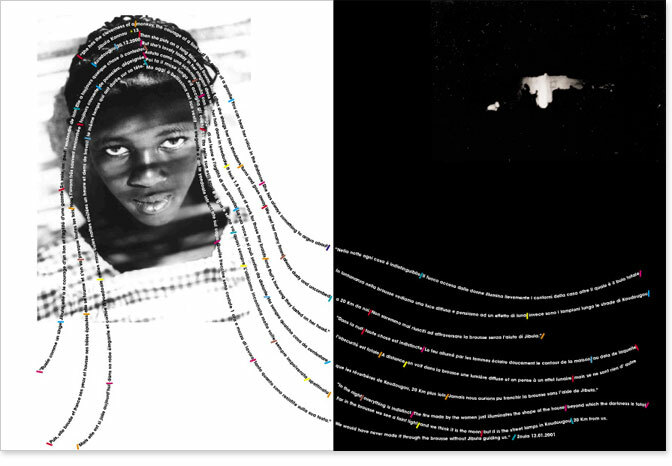 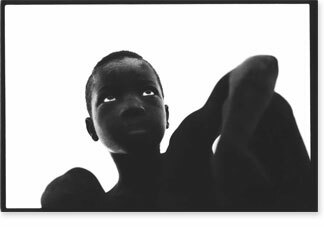 Book cover and inside page design for Africaractère, a book of photographs by Carla Cinelli and Ivano Catini. 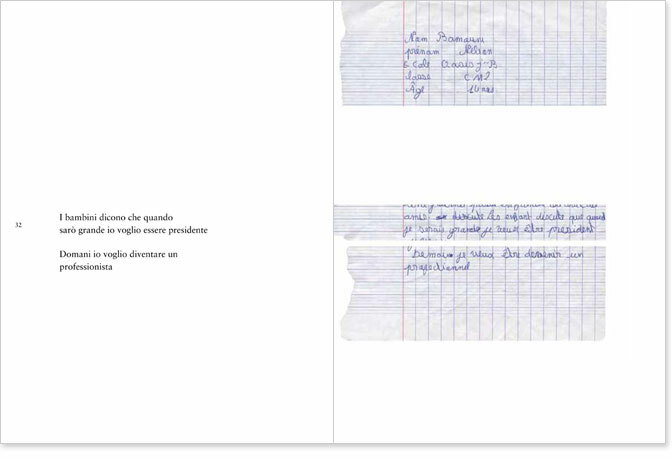 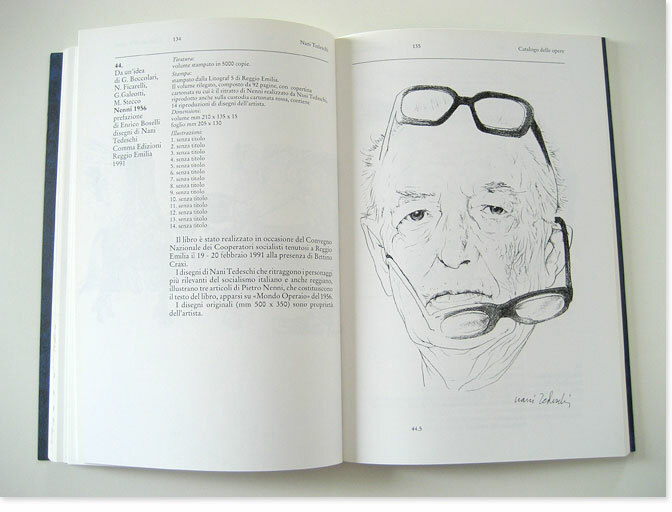 Calligrams, as multilingual captions, are used in support of the story behind each photograph. 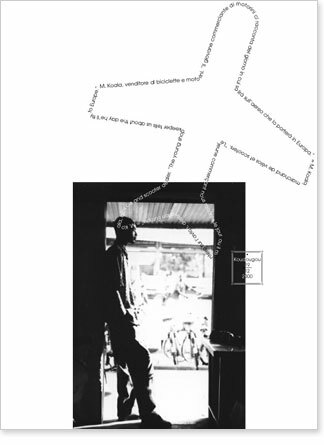 For example, a picture shows a young man who dreams and the calligram/caption shows what he is dreaming: to fly away in search of new adventures and possibilities. 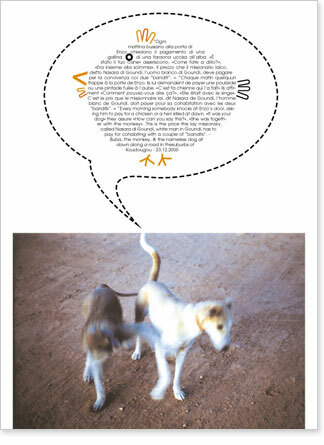 Another image shows a monkey and a dog and the calligram/caption shows what they are both thinking about - what to have for lunch. 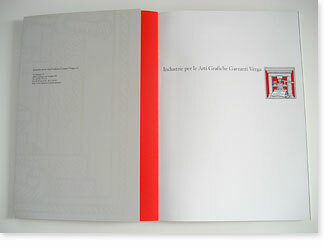 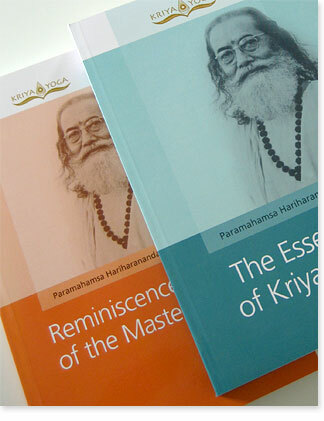 Book cover and inside page design. 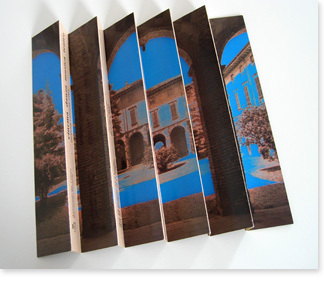 The book showcased the exceptional architecture of the library and cataloged all of the art, donated by Italian artists, that helped support the restoration of the library. 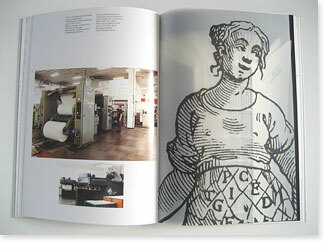 The artworks were auctioned to raise money for the restoration. 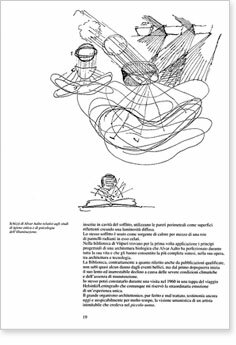 The book AALTO VIIPURI was published by Abitare Segesta Cataloghi in Milano (Italy) and primarily sponsored by Baleri Italia SpA. 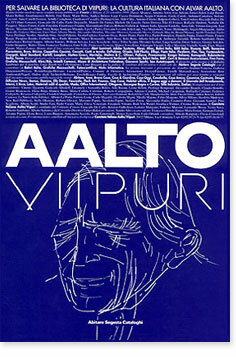 Cover and inside pages for the book AALTO VIIPURI. 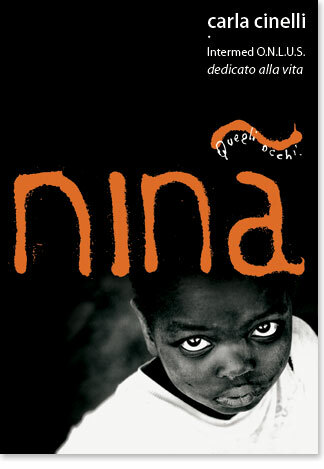 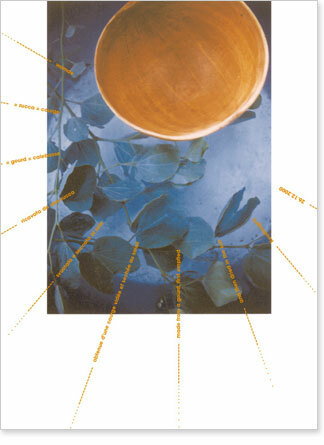 Art direction, photographs and graphic production for book covers. 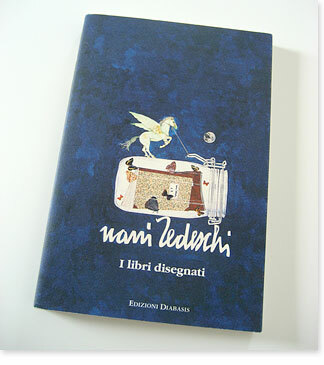 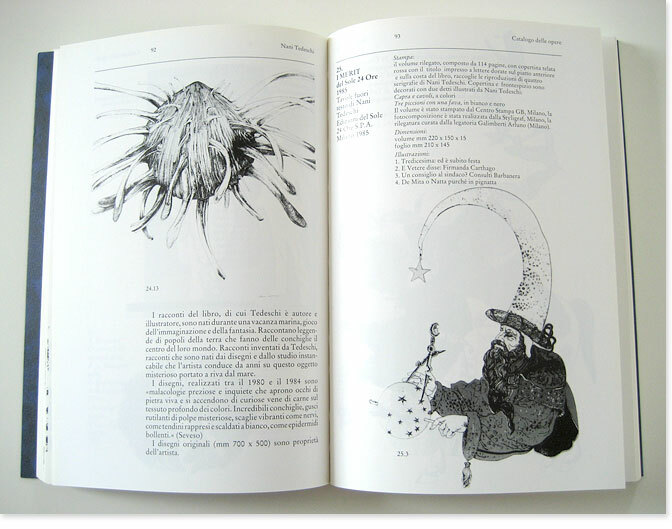 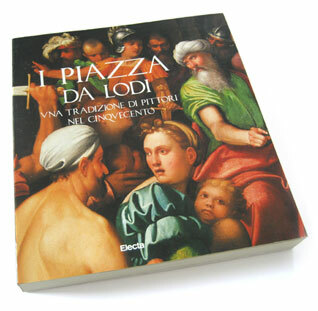 Book design for an exhibition commemorating a family of 15th century painters in Lodi (Italy).